Once your survey is live and you're collecting responses, you want to keep track of your results. 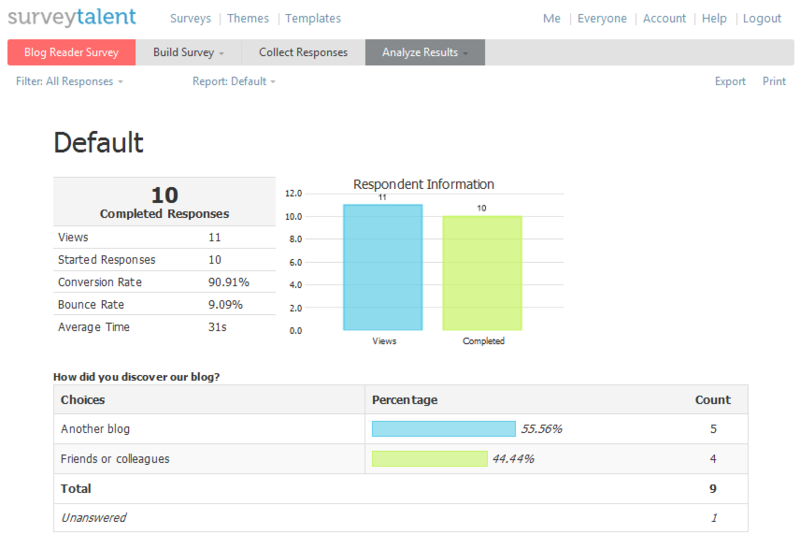 SurveyTalent provides you with realtime summary reports. Immediately when someone answers a question, it will be visible to you in charts and diagrams. You'll always have access the latest results of your survey allowing you to make decisions with the right data. For every survey a report is automatically generated and provides a summary of all questions and all responses. You can also create your own custom reports where you decide what data is included, and how it is displayed. Make your selection of bar charts, pie charts, field charts, response information and payment information. You can also at any time export the responses to Excel or SPSS.